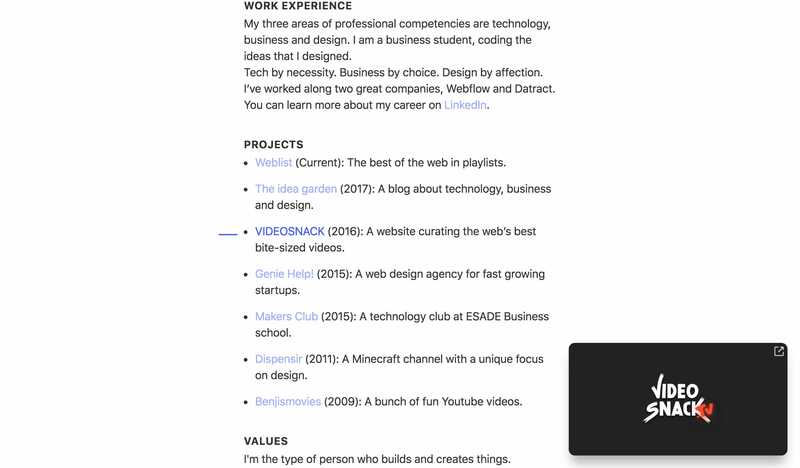 Super simple One Pager (built using Webflow) for Benjamin Issenmann but features a unique project preview screen floating in your browser corner as you scroll. Can only assume this sticky window was inspired by recent YouTube and Facebook app video trends. Hey, this is Ben and this is my personal website. I'm French-American and I study business administration in Spain and China, where I currently live.